Every loaf shown in this post has been baked in an oven that started cold. Everything we read and are told is that the dough should go into a preheated oven, but these loaves belie that fact…it was news to me too! I knew that to use the pot I either needed to soak it before use, or put it cold into a cold oven to reduce the risk of it cracking. And so I did. And I held my breath, and it worked! The loaf above proves it. So if it worked with a clay pot, surely it would work with my enamel roasters, that was my next test. 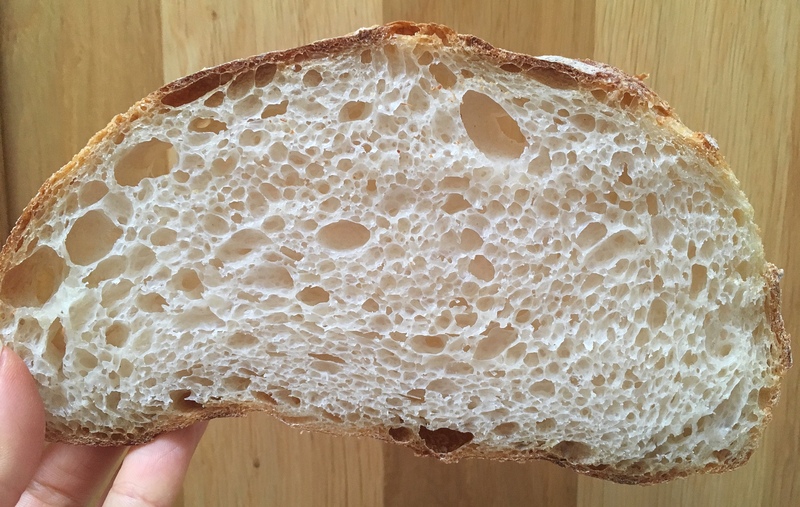 And I’m here to tell you that it does, it works perfectly, as the loaf below shows too…the crust is crisp, the crumb is even, and the cost is less! If your question is ‘surely I need to preheat the oven to get maximum oven spring?’ Then hopefully my loaves are showing that you don’t. The oven spring comes from a strong starter, good flour and good dough. If you’re thinking ‘won’t the dough spread whilst the oven is heating up?’ Just make sure that you prove it in the fridge for a few hours to firm up the dough. And yes, it may spread initially, but then it will rise as it bakes, as my photos show. If you’re thinking ‘that won’t work in my cast iron Dutch oven’, I can tell you that it will. I don’t have a DO but many of the people in my Facebook group and on Instagram do and they’ve tried it, and it works. after 30 mins, turn it down to 220C fan (235-240C convection) for 25-30 mins. Lid on the entire time. For me that saves 20 mins of time for the oven to heat up, for others it may be longer. So, who’s up for the cold baking challenge? I would like to try but my wolf stove takes around 40 minutes to get to a 425 temp, in your experience would that long of a time be a problem? Because the temperature is building that whole time, I think it would be okay but there’s only one way to really find out.. I am in! I will try this next time because electricity is getting more and more expensive where I am from and this can save lots of energy and money. Thanks for this post! When you say 220*C fan, you mean using the convection option? Since I’m new to the group this is the only way I have baked Elaine’s Master recipe. It is completely reliable. The only thing I would add is that if you have a baking/pizza stone in your oven, I would suggest that you remove it. It will slow the ovens rise to the top temperature. 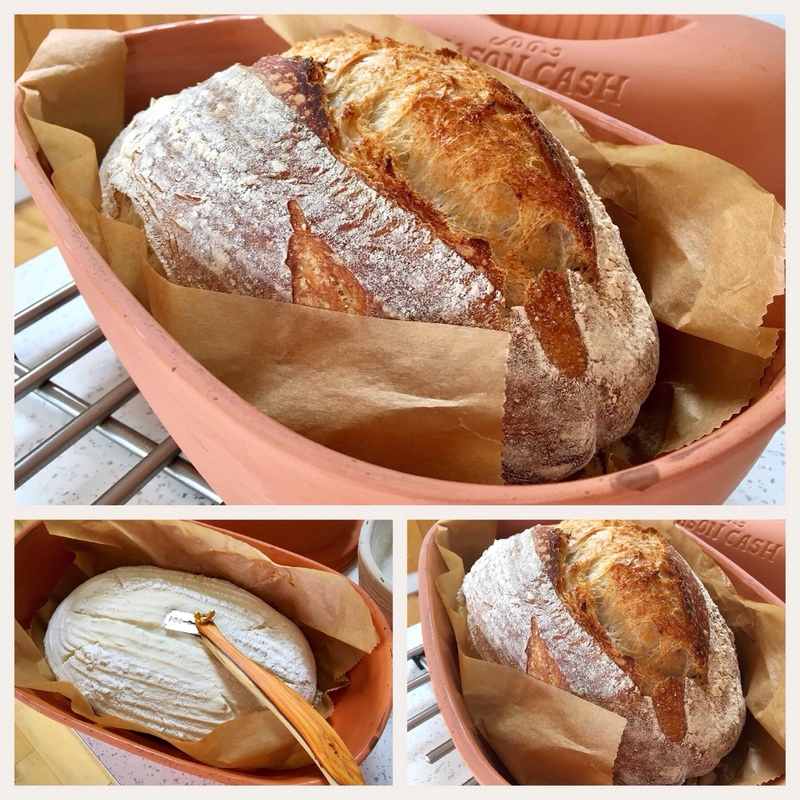 Definitely going to try this with my cloche. As you say, I always thought it was ‘gospel’ that the oven and the vessel had to be preheated. Quite a revelation. Many thanks. Ps, love the Insta posts. Does the success of the cold bake method depend on the hydration level of the dough? No, I don’t think so…people have been trying it around the world with different doughs and it’s working for them too..
doesn’t the bottom of the bread burn as the oven heats up? I’m in the US. I have a standard home-kitchen electric range oven that has no fan-assist, nor a convection feature. Can you suggest bake temperatures for me? Thanks! Hi, if it’s a range does that mean it’s on the whole time? No. “Range” just means standard, run-of-the-mill, regular, everyday cooking appliance, with a cooktop (“burners”) on the top surface, and an oven underneath the cooktop. It is very common. But the oven does not have a fan that circulates the heated air. Since you recommend temperatures based on “fan,” I just wondered if my temperatures would need to be different. A little higher, perhaps? Thank you for your time, kindness, and generosity in sharing your experience and expertise. Aha, okay, so for a standard oven, always add 15-20C to my fan temps. I have a solid state oven that is on all the time so I can’t start from cold (if I turned it off it would take hours to heat up again). What adjustments, if any, should I make to your master recipe? I’m planning to bake the bread either in a Le Creuset pot or an upside down pyrex dish. Thanks! I am trying it this morning. 2 loaves in two dutch oven pots in the oven as we speak. Exciting! I look forward to hearing your outcome ? I will definitely do that next time as well. I think my loaf doesn’t like to be transferred from being cozily risen and then dropped in the hot pan. It always looks like a wrinkled old prune. 😉 It somewhat rises while baking, but not as much as it did on the table. My baking dish is the pottery loaf pan that needs to be placed in the cold oven anyway. I’m just going to raise it in it and then place it in the oven. Wrinkled dough problem solved. Ha! I love this blog. Thanks for all the great ideas! Fabulous! I have tried this several times now and much prefer this to the hot oven method. It also allows me to do the work one day and then bake in the AM. loaves look much nicer also. I am so happy, I wish I knew how to post a pic. I am trying this method now, will let you know the outcome!! wish me luck! Do you always use parchment paper? The first couple of cold bakes I used it with no issues. Last time I used coarse corn meal and didn’t have any sticking. This morning I used the corn meal again and the bottom my loaf was “glued” to my pan, what a mess. In the past, when I was baking in the preheated pan and oven, I never had a sticking issues, no parchment, no corn meal. Any thoughts? Hi, yes I always use parchment paper. Ever since having loaves stick to the pan myself in the very early days of me baking sourdough, I’ve always used it. I don’t know why your loaf would have suddenly stuck on this occasion unless you changed the hydration or flour you used? Hi when you say lid on the whole time, does this not stop the do rising and Crisping?in the photos all the loafs look higher than the sides? I am new to making sourdough bread, but I love it. I have never heard of cold oven start. I have a gas oven and next time I bake a loaf of bread, I am going to try your method. I did my first cold oven baking this afternoon. 2 loaves sourdough soft bread. Usually I baked them at 190degC with fan for 35 min with lid and 3-4 min without lid. Today 40 min since the oven on with lid, and another 7 min without lid. The last 7 min I changed the oven setting to bottom heat only as I want a bit more brown (the top already brown enough). Maybe next time it should be 45 min with lid and 2-3 min without lid. I have my first “master recipe” loaf proving in the fridge right now and I have to say from beginning up to this point it is the NICEST, fluffiest, bubbliest, happiest, softest, most awesome dough I’ve worked with! Thank you (seriously…thank you! After trying what feels like 100’s of different recipes “out there” yours seems to “nail it”). I’m excited to get it into the oven and am going to try the cold bake as described above…but I have a gas oven. From the looks of it the heat source is at the top. Should I make any adjustments for temperature or timing? Thank you! As this is your first time using my recipe I wonder if it would be an idea to go with a preheated oven this time? Then maybe investigate your oven further, what do you think? While I m waiting on my starter to arrive, I’m trying a cold bake with a loaf that sat 2 days in fridge. I’m excited to see what happens under the lid. I just tried this on a non-sourdough no-knead loaf. It worked beautifully! I made the dough and after letting it rise for about 7 hours I put it in the refrigerator overnight. This morning I took it out of the fridge and let it sit on parchment with a flour semolina mix for about an hour. Then I plopped it in a COLD cast iron Dutch oven, put the cove on and slipped into a cold oven. Turned my oven to 475 degrees F and let it bake for 30 min. Then turned the oven down to 450 degrees F for 25 min. Didn’t peek once! It turned out beautiful! Crispy crust and nicely browned on the bottom. I will use this method from now on. Thank you!! And thanks to all of you who commented. A great help to me. I’ve been preheating my oven, and it works, but it would save a lot of energy to do all cold. Why do you rice flour to coat the dough and the cloth? Why can’t you just use the bread flour that you use to make the loaf. I’m going to try the cold oven method. Thanks for that idea! I didn’t see how I could bake bread in the summertime and running the a/c overtime! 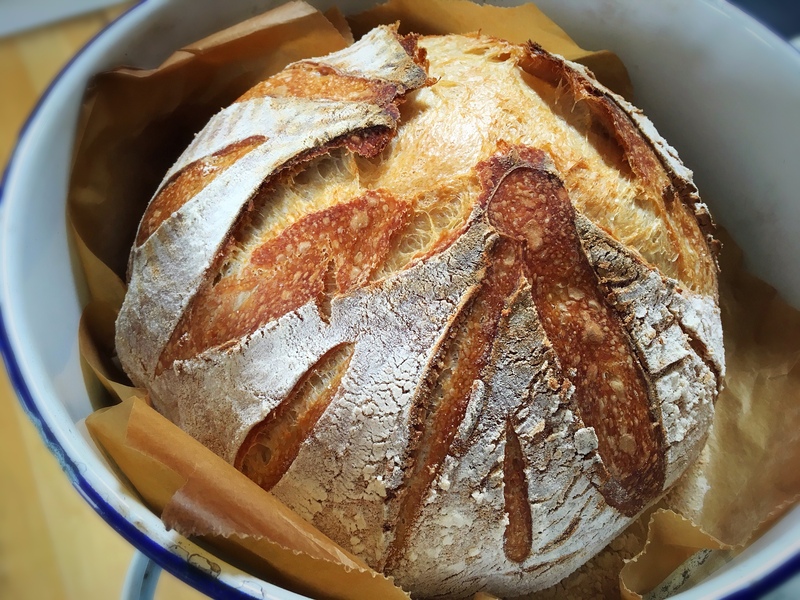 Hi, rice flour is non porous and will stop the dough from sticking to the banneton; if you use your same bread flour, the dough is likely to stick and not coming out of the banneton nicely. 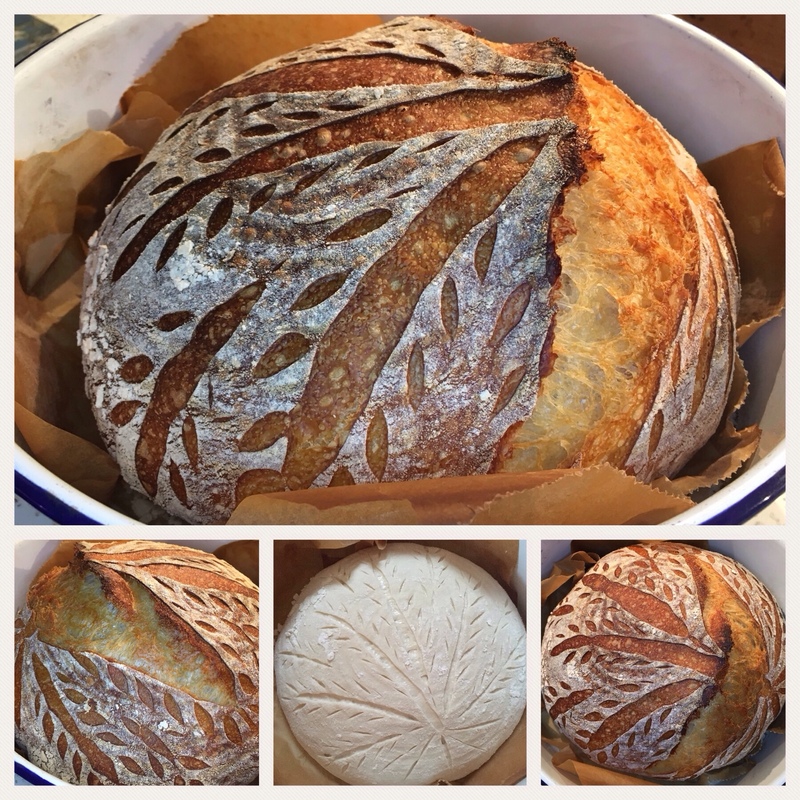 I’ve been baking sourdough with a variety of recipes for several years now. The master recipe is definitely the simplest I have tried – both in ingredient list and in process. I’m baking a loaf as I type. My oven element ceased working in November last year and I’ve tried several alternative baking methods. Old fashioned electric frying pan with the vessel on a low trivet worked well, but was a bit pale on top and harder than I like in the bottom. Crock pot worked really well for a soft moist loaf, but with no ‘crust’ in the traditional sense. Now I am baking in my little toaster oven, and it turns out consistently good bread at a lower temp than I would have thought possible. It only heats to 200 Celsius so I bake for a bit longer than I used to. I have taken to using a thermometer to check for doneness to save failure. Mostly I use my nose to know when it’s baked. 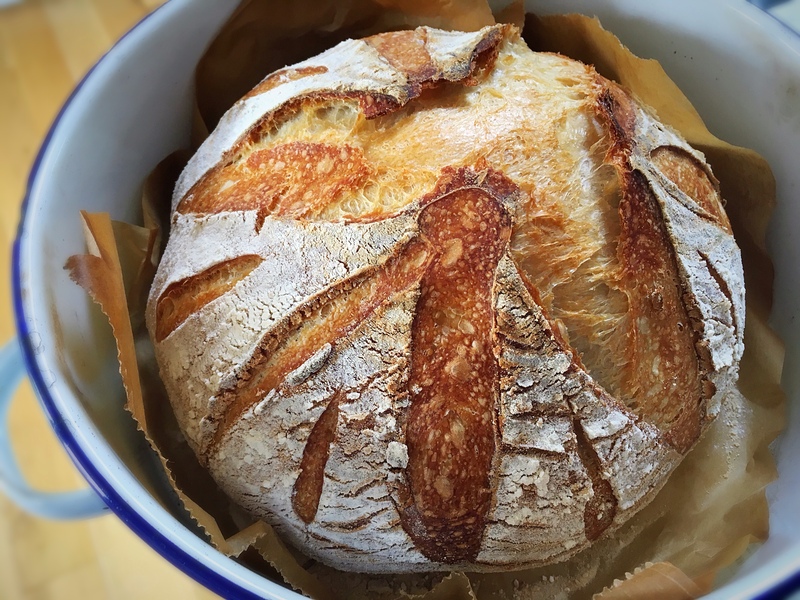 Gorgeous bread with a fantastically simple recipe, Thank you. Hi Elaine, I still would like the Bataks down in temps fore Farenheit ovens! 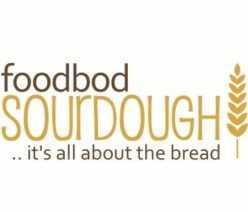 Thank you for all your amazing love of sourdough bread you share with everyone! Hi Elaine, my last email was a train wreck. Sorry, I was just so rushing my words. 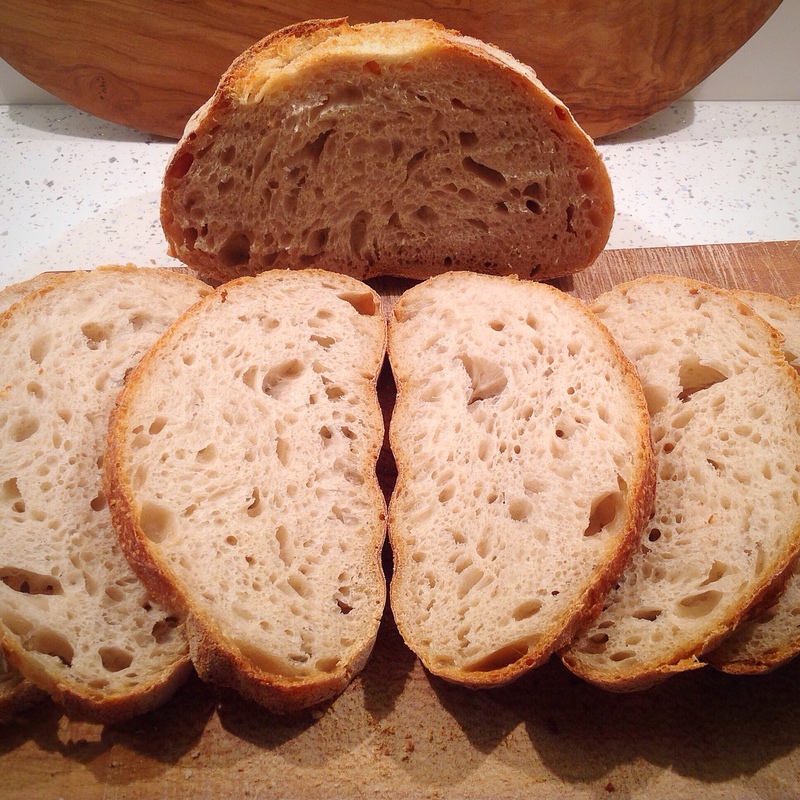 Do you have an easy sourdough sandwich recipe for beginners? Do you have a pretzel recipe?